The Indian Ministry of Health announced that a passenger, who had flown to New Delhi from Ghana,whom the World Health Organization (WHO) had tagged as suffering from Ebola Virus Disease (EVD) and whose co-passenger had tested positive for the deadly virus, has not shown any signs of being infected. His housemates are also under ‘surveillance’ for signs of infection but have similarly shown no symptoms. Still many wonder why the government would not have tested their blood to definitively rule out infection in an effort to stem the tide of a growing panic among Delhi residents at the prospect of Ebola having been into their borders. 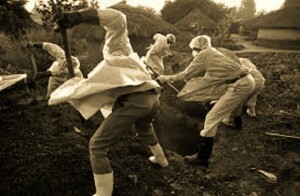 This news comes as the World Health Organisation on Friday issued a global health emergency due to EVD outbreak. The government has responded by opening a 24-hour emergency helpline and said it has put in place the “most advanced surveillance and tracking system”. It is a sign that while Ebola has not reached India, the global nature of human interaction makes its arrival on Indian soil a distinct possibility in the future. Given the deadly nature of this highly contagious disease, and the virulence of the recent outbreak in Africa, the actions demonstrate that authorities are determined to be prepared should the dreaded eventuality of an outbreak arise. All infected patients in the national capital will be treated at Ram Manohar Lohia hospital, a health ministry statement said. Health minister Harsh Vardhan, however, said there was no reported case in India and one traveller, who landed in New Delhi on July 20 and was confirmed by the WHO as a case of Ebola Virus Disease, was found to be healthy. He had been traced to Dwarka in south-west Delhi. “There is no cause for panic. We have put in operation the most advanced surveillance and tracking systems,” he said in a statement. The 24-hour ‘Emergency Operation Centre’ will be functional from Saturday and its numbers are 011-23061469, 3205 and 1302, the ministry said. A mechanism has been worked out in consultation with the Civil Aviation and Home Ministries for collation of information on travellers to India through the affected countries, Vatican said. As a mandatory measure, flight passengers will be made to declare through health cards their movement in the recent past and their addresses in India. WHO today declared the current Ebola Virus Disease outbreak as the “most complex outbreak leading to public health emergency,” calling for global health alert in all countries. The four countries affected are all in western Africa- Guinea (393 deaths), Sierra Leone (286 deaths), Liberia (282 deaths) and Nigeria (1 death). 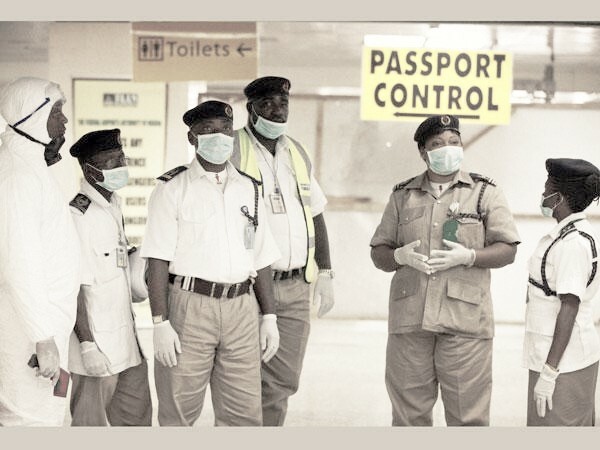 Authorities are keeping close watch at airports and ports, the ministry said, adding the Integrated Disease Surveillance Programme (IDSP) is on alert. The National Institute of Virology, Pune, and National Centre for Disease Control in Delhi are prepared to test samples for diagnosis. “In addition, the estimated 47,000 Indians in the affected countries are being contacted by the Indian missions and supplied all didactic material so as to create awareness about prevention and self-reporting measures,” it said. The ministry had asked the chief secretaries of all states to strengthen their own tracking, surveillance and isolation facilities, it said. In the latest news regarding the current West African Ebola outbreak, the Peace Corps has announced it will be withdrawing hundreds of volunteers currently working in Guinea, Liberia, and Sierra Leone. This comes after two volunteers were exposed to an Ebola patient. The Peace Corps is not the only organization to evacuate volunteers. Two Christian charity organizations, SIM and Samaritan’s Purse, have also announced that they were evacuating nonessential personnel due to “instability and ongoing security issues in the area,” The Wall Street Journal reported. This is a growing crisis of proportions that will cost, we think, thousands of lives and maybe more,” said Bruce Johnson, president of SIM USA. 1) diagnosis; 2) quarantine; 3) containment. It is not sufficient simply to wait for someone to show symptoms. if someone’s blood is tested and found to be positive before they show symptoms, they can be quarantined before they are contagious. Waiting for someone to get sick is just plain stupid and irresponsible. Remember, Africa is underdeveloped but not overpopulated. Nobody knows what will happen if Ebola hits a population dense metropolitan area like New Delhi!